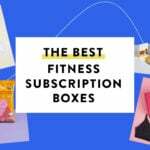 Check out the latest Tokyo Treat Spoilers on My Subscription Addiction! TokyoTreat May 2019 Spoiler #3! TokyoTreat May 2019 Spoiler #2! TokyoTreat May 2019 Spoiler #1! 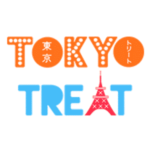 TokyoTreat May 2019 Theme Spoiler + Coupon! TokyoTreat April 2019 Spoiler #4 + Coupon! TokyoTreat April 2019 Spoiler #3 + Coupon! TokyoTreat April 2019 Spoiler #2 + Coupon! TokyoTreat April 2019 Spoiler #1 + Coupon! TokyoTreat March 2019 Spoiler #4 + Coupon! TokyoTreat March 2019 Spoiler #3 + Coupon!